Infographics may be a term you haven’t heard (or if you have heard of it, you may have thought, “Ugh, another infomercial”). However, even if you haven’t heard the term, it is very likely you have seen an infographic if you have been on Facebook, YouTube, or on your school or company website. What they are is as intriguing as the first picture book (it was Orbis Pictus, by the way) or the comic books and graphic novels you read when you were a kid, or last week, for that matter. As important, infographics are tools that teachers can use to help students understand big ideas, and they are tools that students can use to synthesize multiple sources of information. 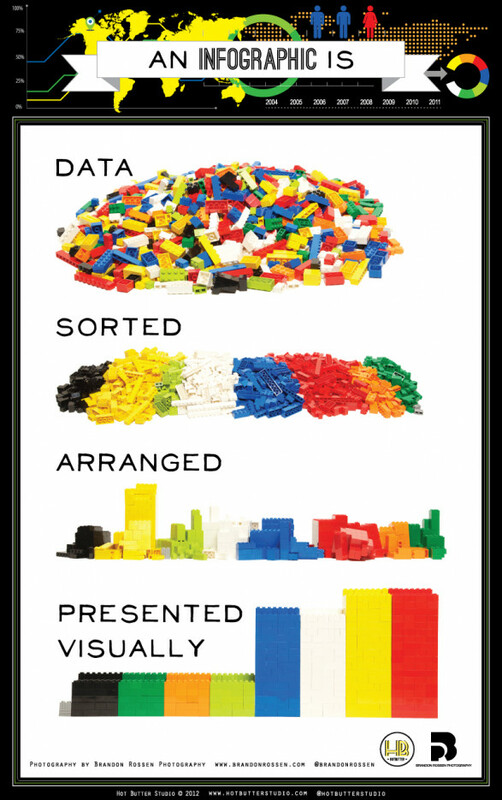 The topics captured by infographics are diverse. They can convey complex economic concepts, or persuade the reader to take action to help solve a complicated problem facing the world. They may present an array of terms that develop conceptual understanding of vocabulary. For students, infographics gather information and present it in an interesting and coherent way. At the same time, the best infographics challenge the imagination and the intellect. Quite often, infographics have a very professional look about them, but, get this: students (and their teachers) can create them, too. 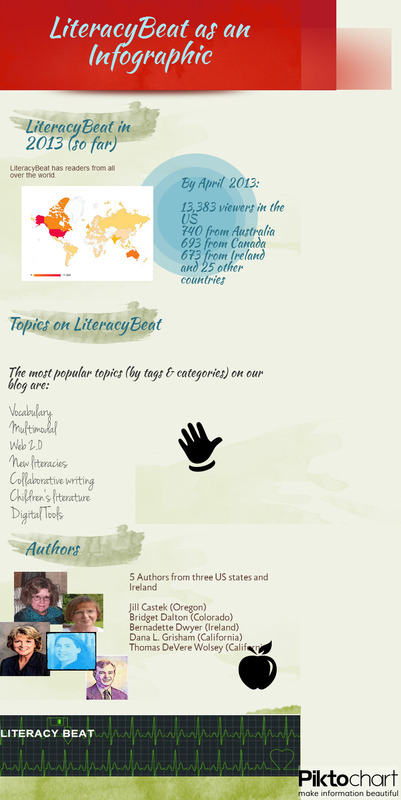 I decided to test one infographic creation tool just to show readers of LiteracyBeat that it can be done. If I can do it, so can you. I used Picktochart for this experiment to render LiteracyBeat as an infographic. Click the image to see the infographic in greater detail. • Encourage peers to read, via an infographic on the school webpage, by including data about the most popular books read, the most assigned books, and so on. 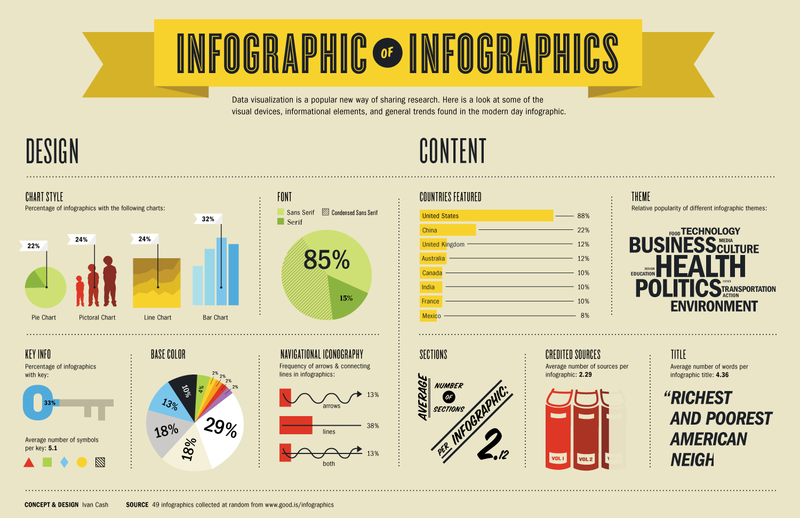 How have you used infographics? How might you plan to use infographics to assist your students with summarization, synthesis, and other high-level cognitive tasks?